Fat and Happy Food Blog Tips and Techniques: The lime will help keep the avocado from turning brown, but I suggest making the avocado mash as close to when you are planning on using it as possible. Make the bacon jam first, as this will take about 1 hour. Then slice the baguette, brush with a little olive oil and toast. In a small food processor (or use a fork) blend together the avocado, goat cheese, lime and a pinch of salt. Dice the tomatoes, mince the garlic and toss with a drizzle with the olive oil and fresh black pepper. Set aside. 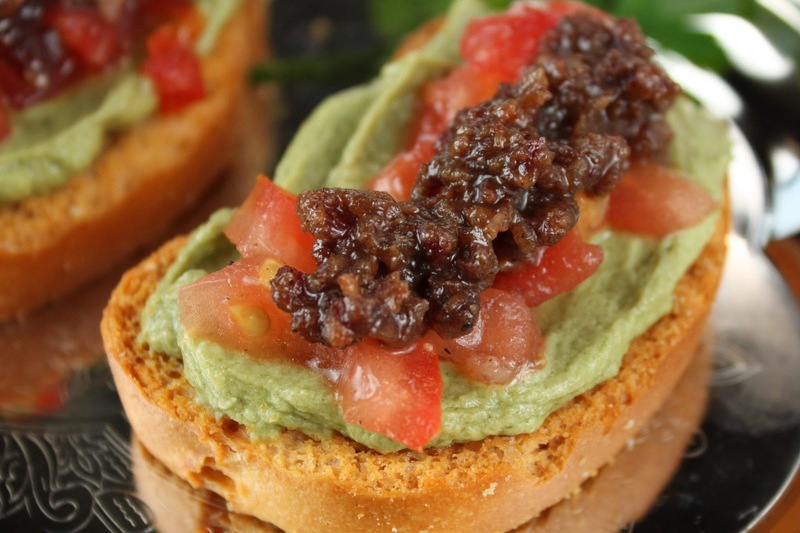 Place a scoop of the avocado mash on the crostini, add a spoonful of the diced tomatoes and then a small spoon of the warm or room temperature bacon jam. Serve immediately. In a small stock or soup pot, cook the bacon until done but not too crispy. Remove the bacon from the pan and set aside, drain all but 1 tablespoon of the fat. Add the onions and cook uncovered over medium low heat 10 minutes, stir often. 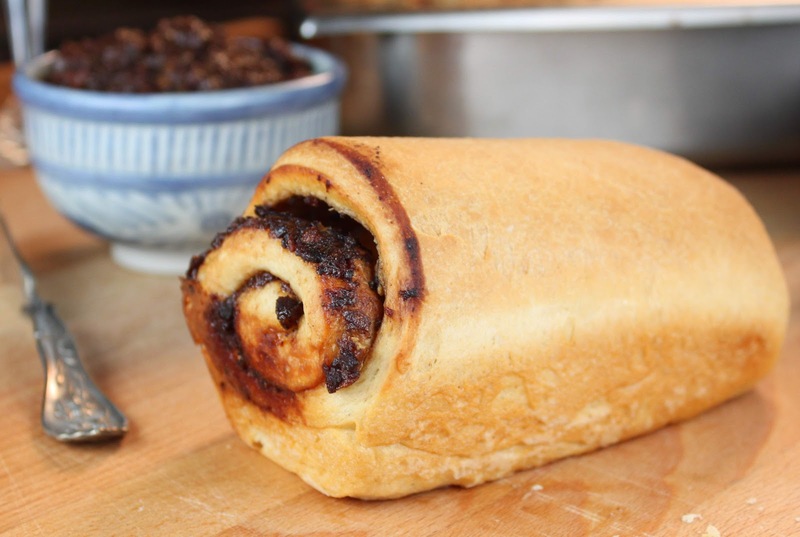 Add the brown sugar, allspice, cocoa, raisins and cayenne pepper; cook on low for 10 minutes covered. Add in the garlic and cook another 5 minutes covered. Add in the remaining ingredients, the apple juice, red wine and the balsamic vinegar, cook for 30 minutes covered on medium low. Remove from heat and cool slightly. Place the bacon jam in a food processor and pulse on low about 20 seconds. If you want a smoother jam, pulse longer.